Lisbon - The Complete Holidays Destination Guide! 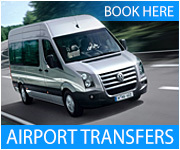 Visiting Lisbon Portugal? This is the first 'SITE-SEEING' you should do! 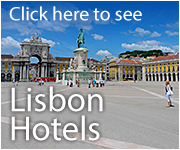 Lisbon's award winning comprehensive tourism destination guide with recommended Lisbon hotels, resorts and self catering apartments, car hire, Lisbon sight-seeing tours and much more. This 'must see' Lisbon guide offers over 800 pages of essential information on where to go, when to go, what to do and how to get there. Detailed current Lisbon weather reports with satellite images, maps, geography, history, people and culture will help you choose the fascinating city of Lisbon as one of your future vacation destinations. Our 'Places to See' section provides in-depth information about the numerous places of interest you should see whilst visiting the Lisbon area, such as Eduardo VII Park, Rossio, one of the most beautiful squares in Lisbon and the charming Chiado district, noted for its cafes, restaurants, shops and street performers. 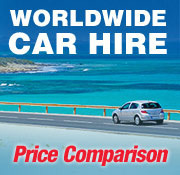 Visit our extensive image galleries or see the 'Essential Information' we offer to help you plan your holiday. We operate a live webcam high over the city. This webcam will allow visitors to see wonderful views of Lisbon from anywhere in the World over the internet. Within a short drive, you can find sandy beaches and fishing villages like Sesimbra and charming Cascais, the dense vegetation of Sintra, with its royal palaces and breathtaking views over the ocean and hills, or enjoy sailing along the Tagus and Sado river estuaries. Hotels, modern shopping centres, cultural activities and a whole lot more make this one of the best year-round destinations in Europe! This web site is updated daily with new articles and images from around the capital. Come in and find out for yourself why the fascinating city of Lisbon and its surroundings has something for everyone and why it has become an international destination and the most visited city in Portugal. Featured hotel... Set in Lisbon's most vibrant district, the 5star Hotel Bairro Alto is perfect for both a romantic weekend getaway or a holiday hotel!